There are plenty of ways to mount your camera on your bike, but there's not much you can do about uneven surfaces on the road that cause your videos to end up looking shaky. If you're on a motorcycle, it's even worse because turns force you to lean, which makes your video tilt. 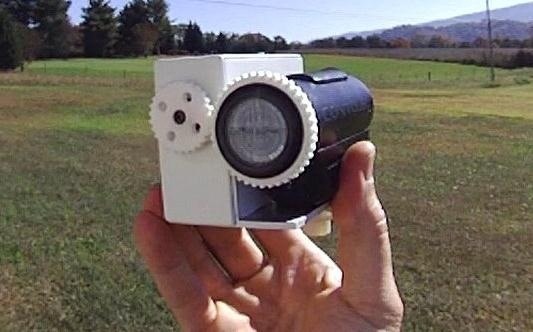 Derek Lieber wanted to have his cake and eat it too, so he built this DIY horizon-stabilizing camera that uses a gyroscopic sensor to capture smooth footage. Derek's design is based on a Contour Roam camera, but it shouldn't be too hard to tweak for use with other models. 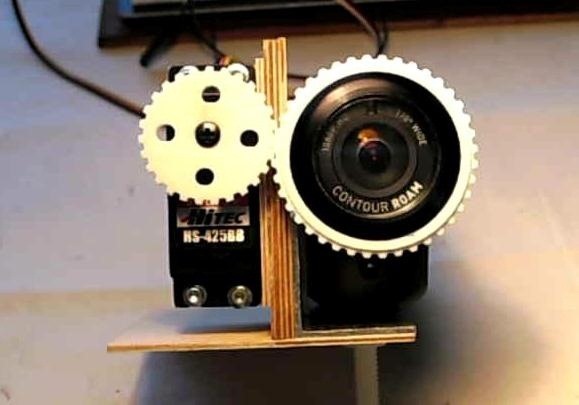 The parts include a microcontroller, gyroscopic sensor, servo motor, and battery, and a little control box mounted to the side of the camera holds everything in place. He 3D printed the gears after drawing them up in CAD. The gears, which are connected to the servo motor, are what keeps the lens in the upright position. You can see how they work in the video below. Here's some of the footage shot with it. You can find the parts list along with tons more photos and videos over on Derek's blog.